Okay, so I need to admit upfront that I am making a tenuous link between learning to scuba dive and also taking up running....HOWEVER, as I was reminded during my PADI course, fitness is important for diving. So whilst there is a brief pause between my classroom training and first open water dives, I wanted to write a blog post on building my fitness. I have been following a couple of different blogs of people who are "learning to jog" shall we say. Reading about some, quite frankly much older and significantly over weight people, completing their first 5k runs in 30 minutes was inspiring. I have shared a link below. My waist has expanded, my fitness has lapsed (cancelled gym membership, no more horse share for weekly riding etc) so it was time to take action and listen to my PADI instructor about getting into shape! Because let's be honest, I shouldn't have been THAT out of breath during the 200m fitness test. My boyfriend needed some new trainers last weekend so I slumped into a chair at the ASICS store and watched him try on a vast array of different trainers. My ears pricked up when a shop assistant asked if he would like to try them out on a treadmill, his running would be filmed and then analysed to see if the trainers were providing the correct sort of support. I do love a good gadget show! We left the shop, with his new trainers in tow. Several shops later I was humming and pondering and finally decided to go back and try it myself. The problem that I have experienced when running, apart from the wheezing, choking and general muscle malaise, is that my ankles tend to strain. 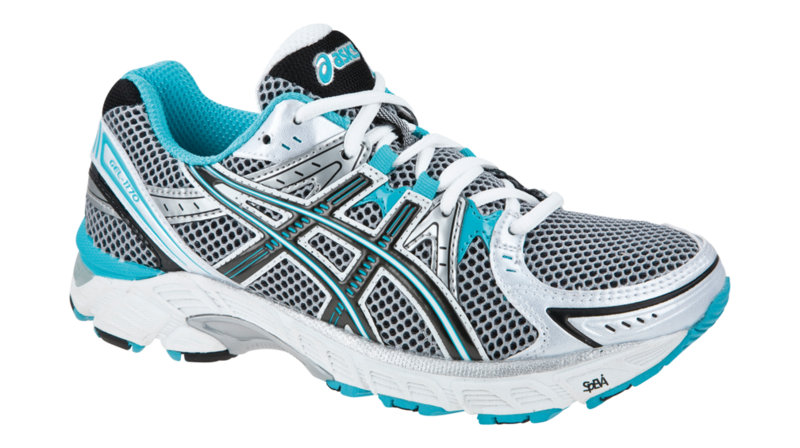 The sales assistant tried me out in some basic trainers and then some more structured, support-providing trainers. 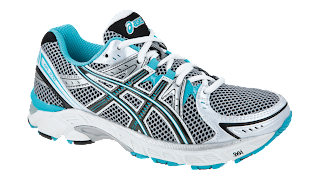 The difference was incredible, my ankles felt totally supported and what I loved about ASICS is that they knew I wasn't a serious runner so suggested the cheapest yet most supportive pair suitable for my short distances whilst I build up my fitness. 2) Garmin Forerunner 110. Now, the Couch-2-5k app is actually fantastic because it tracks your average speed and also uses GPS to plot a map of your run and distance. 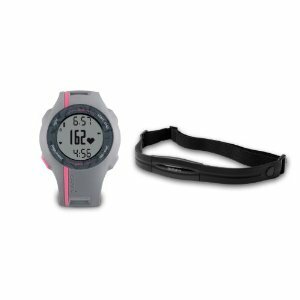 However, I couldn't resist buying this GPS watch and heart rate monitor. Firstly, because I have been told if you're serious about building fitness you should invest in a heart rate monitor, and secondly because of all the nifty stats that this watch stores. After a long day at work I managed to still get my trainers on, with some excitement set up my new watch, and hit the streets. 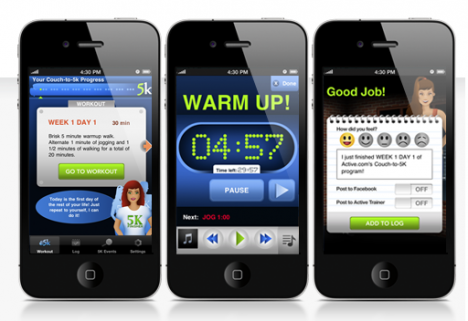 I successfully completed Week 1, Day 1 of the Couch-2-5k programme. It sounded a bit too easy (walk for 90 seconds, jog for 60 seconds, repeat), but I had read blog posts with people struggling. So I was proud of myself for completing it fully and although there was some chest tightness, it felt good that I was working my body. Thanks Celina! Can't wait for my open water dives next week - I'll post all about them!